Who wants-a Pizza Pie… PATTERN?!! 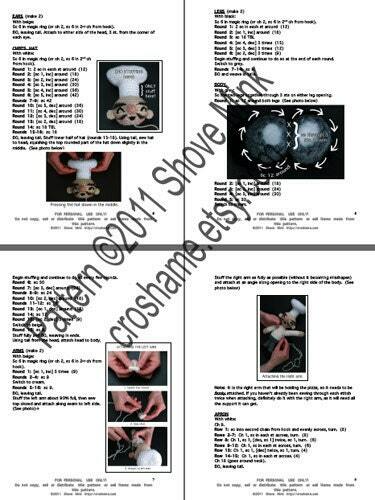 It’s an 11-page pattern suitable for an advanced crochet beginner and complete with visual instructions and helpful construction information. 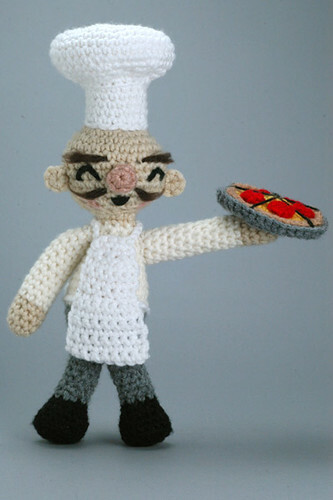 It has been rigorously crocheter-tested and approved, and now you can purchase the pattern and make your own little Pizza Pie Guy for just $6.50! Click the pic below to go to the Etsy listing! If you go the Etsy route, the pattern will be emailed to you within 48 hours — but if you’ve got an extreme case of the pattern munchies and need your pizza pie delivery faster, the pattern is also available for direct download at Ravelry (click link below). But not to worry, all you non-crocheters out there, the actual doll is also available for purchase in the Etsy store here! This entry was posted on May 12, 2011 by croshame. It was filed under Croshame . OMG thats amazing!! 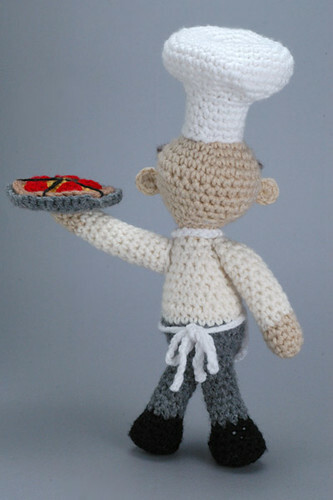 I wish I could Crochet baaaah! !